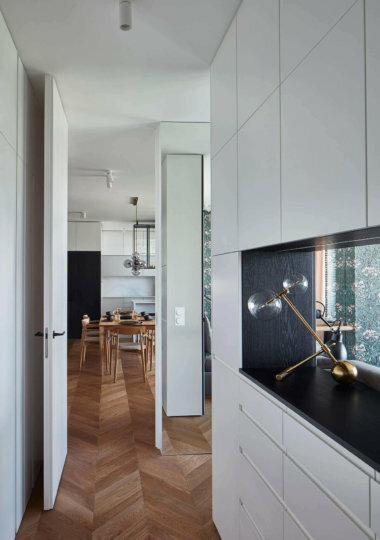 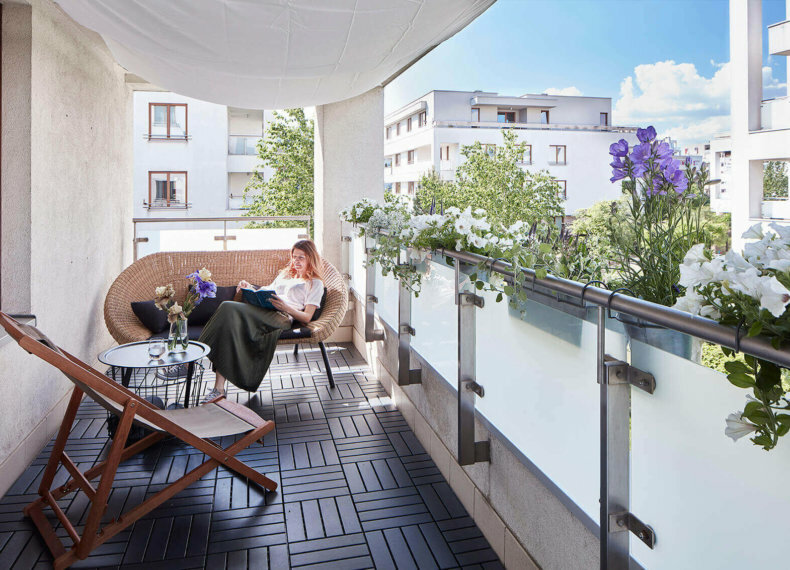 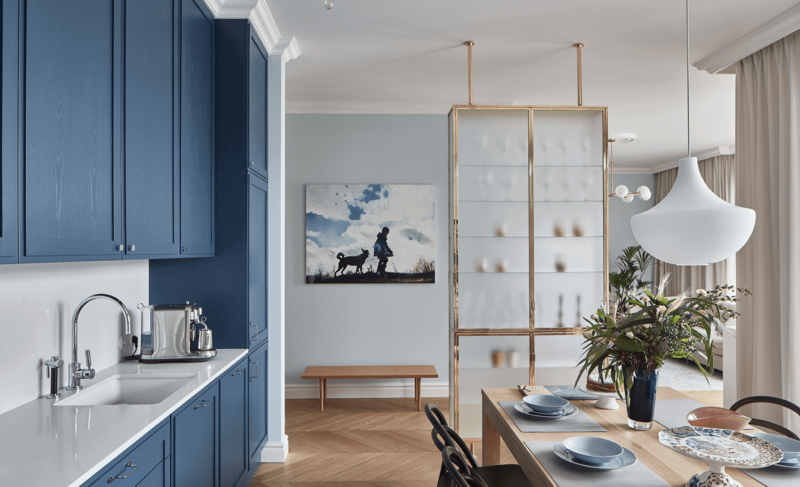 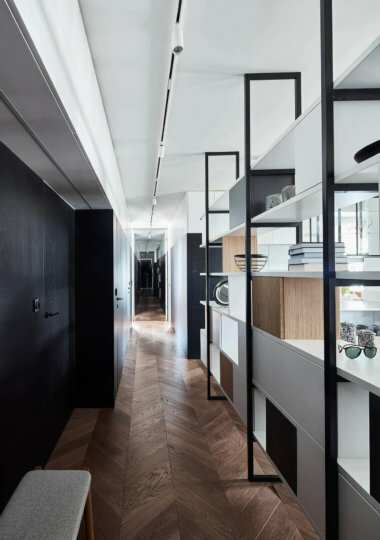 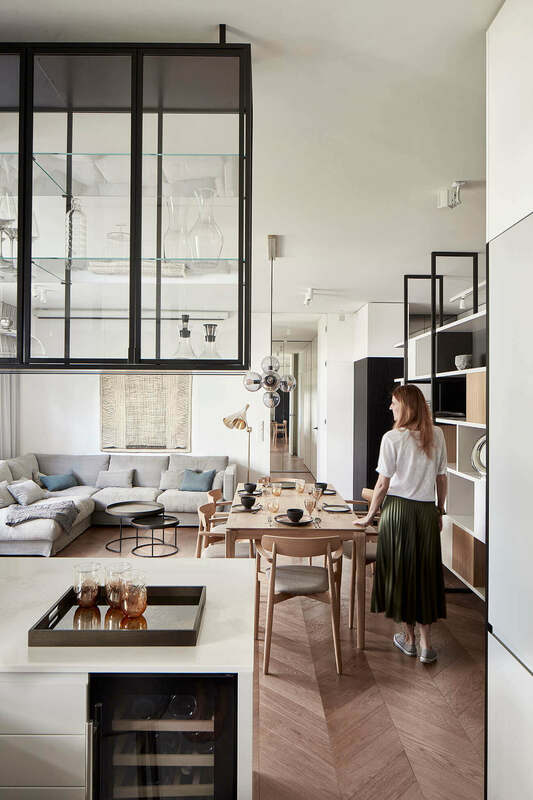 This terraced family apartment has undergone a general overhaul in order to effectively use its entire surface. 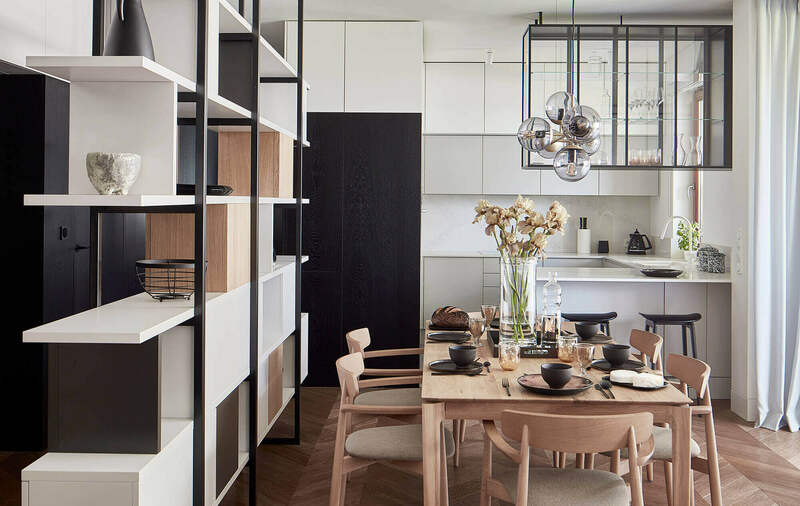 The wall that divided the living room from the kitchen and the dining space was replaced with a wide bookcase that allows the natural light to enter all the rooms. 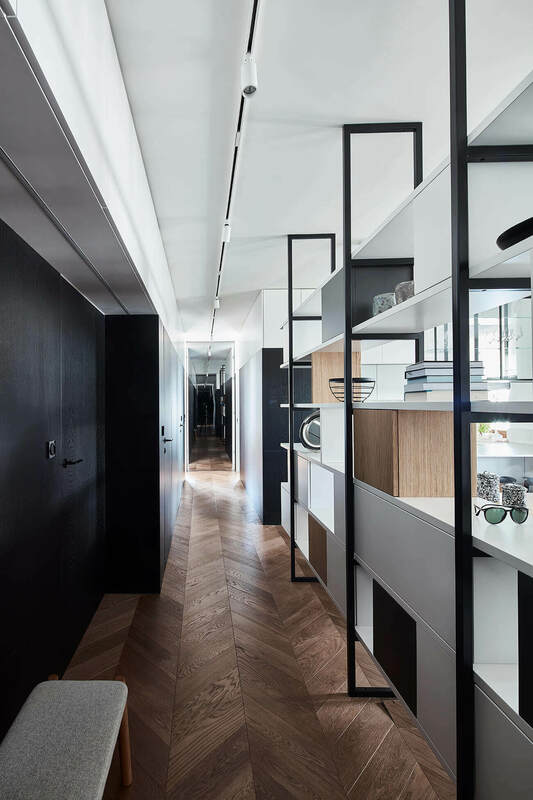 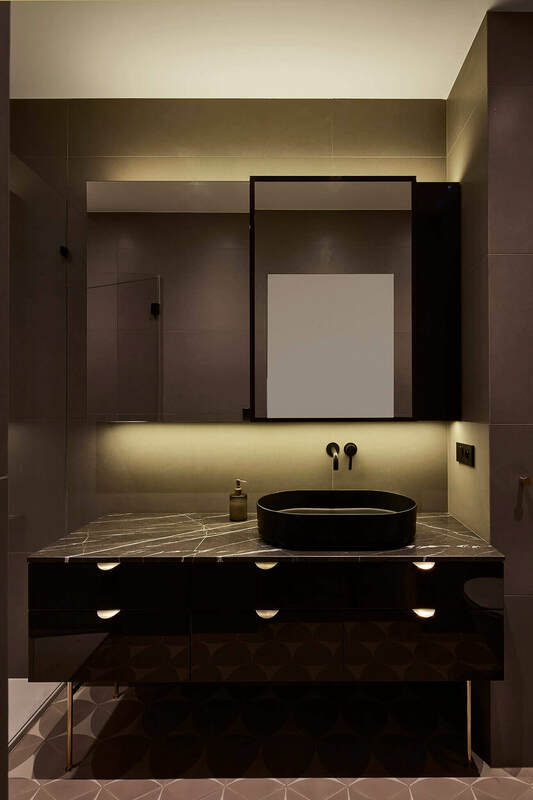 Mirrors were installed on both ends of the black veneer hall to optically enlarge the space. 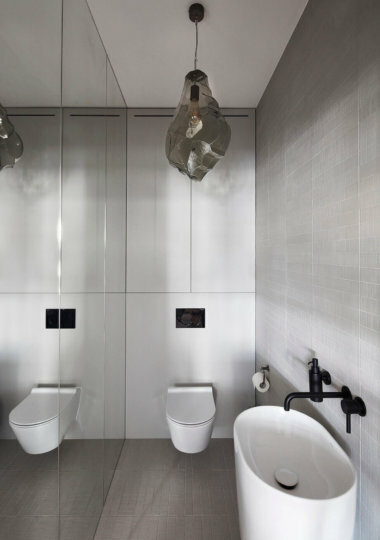 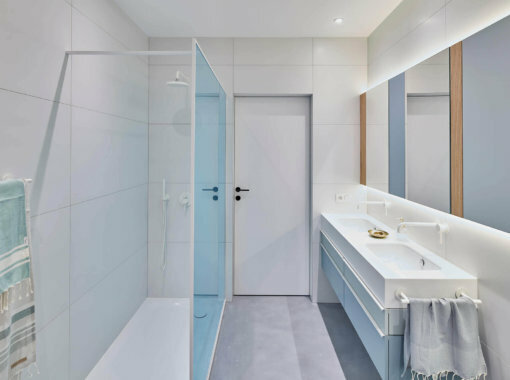 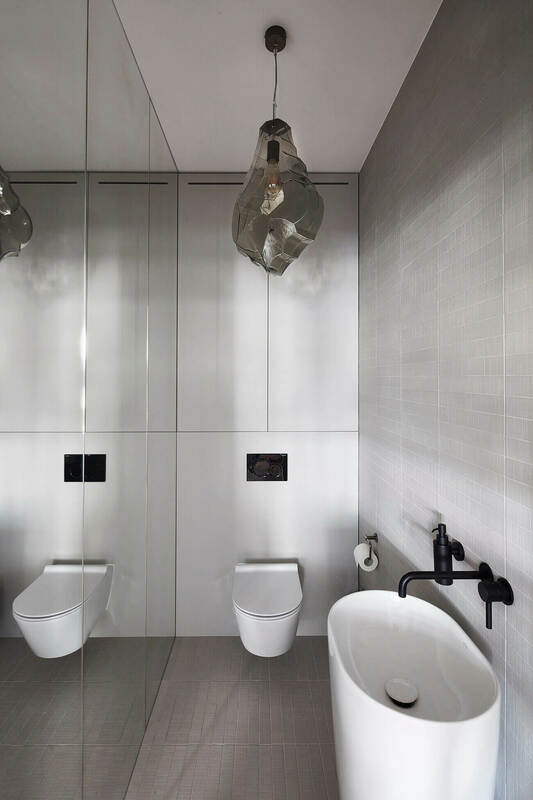 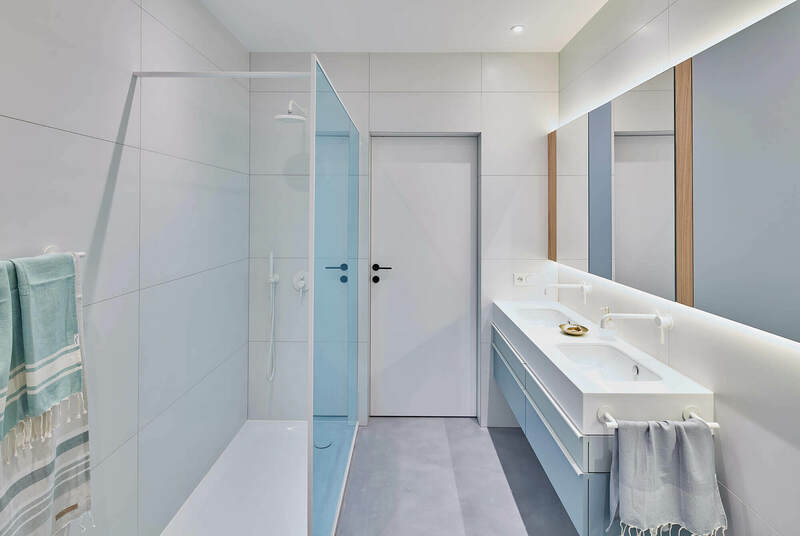 The two children rooms were designed with kids’ character in mind and complemented with a dedicated bathroom in white and light blue. 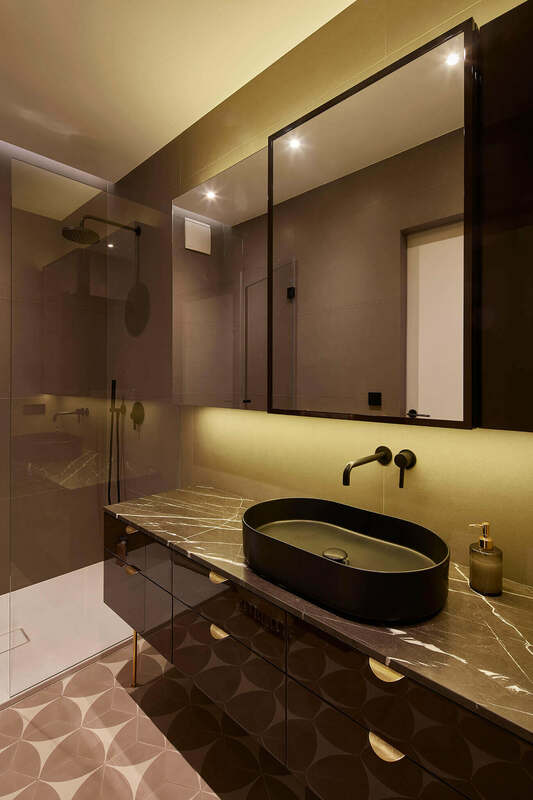 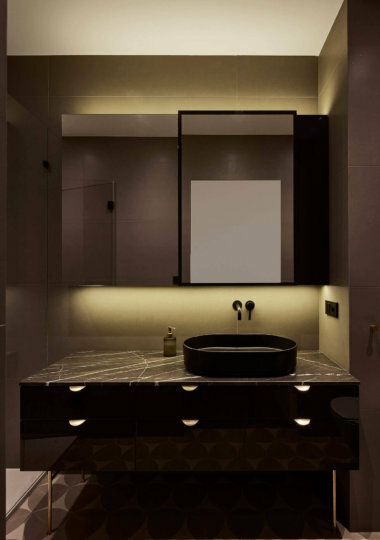 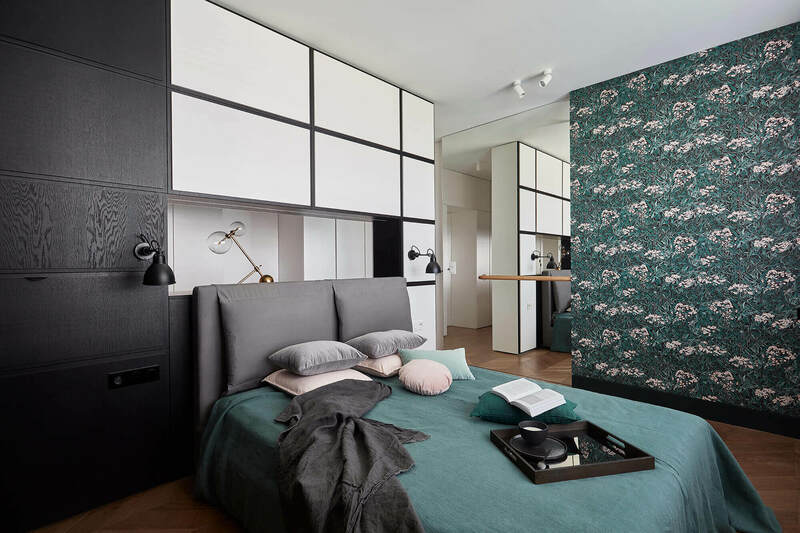 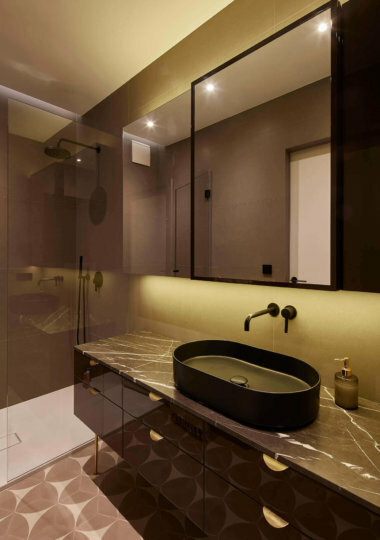 Inside parents’ bedroom, a pair of black doors marks an entrance to the walk-in closet and a brown-themed bathroom, finished with cement tiles. 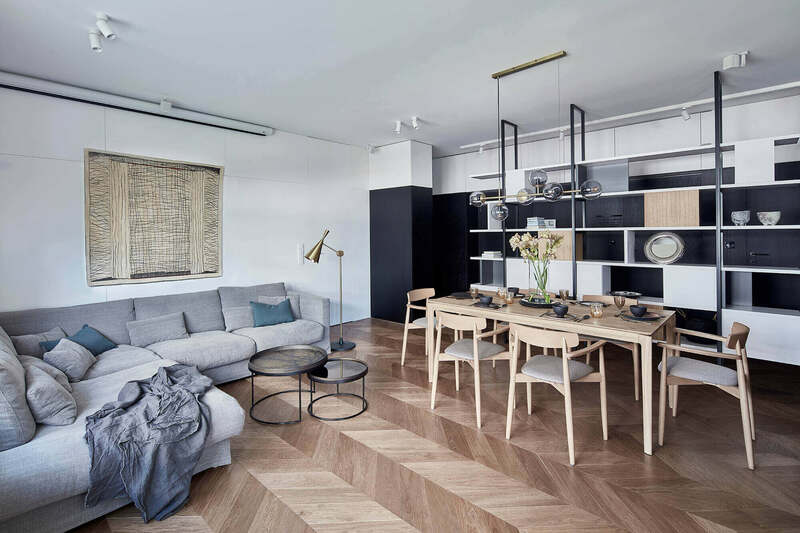 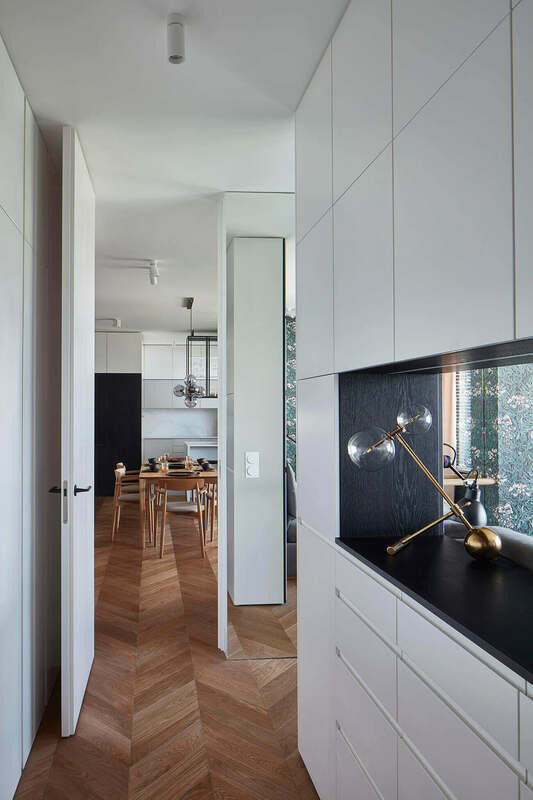 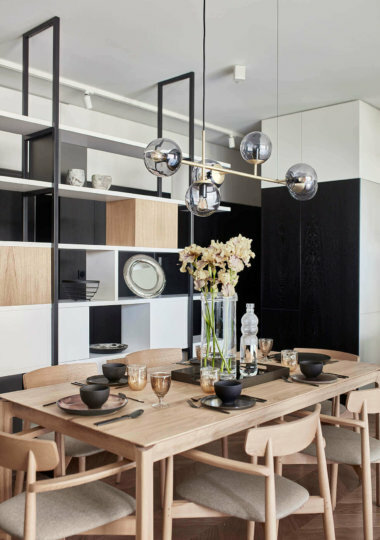 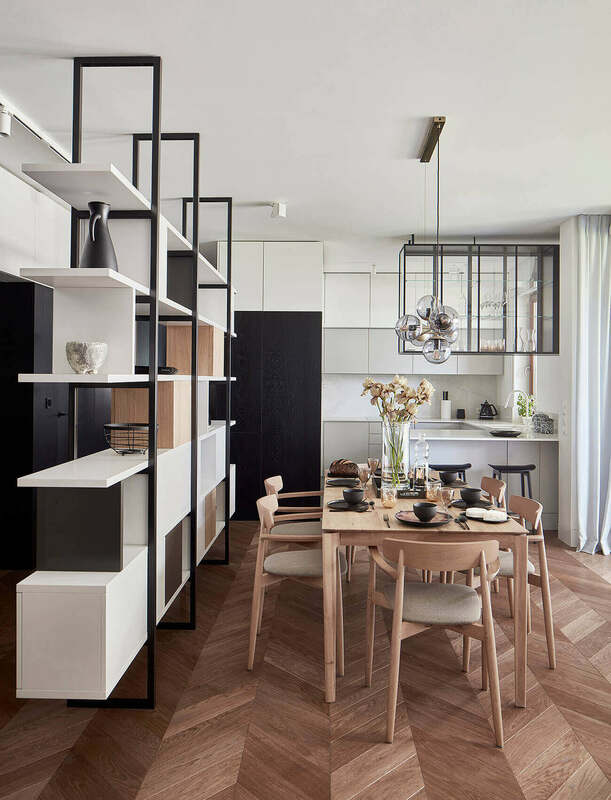 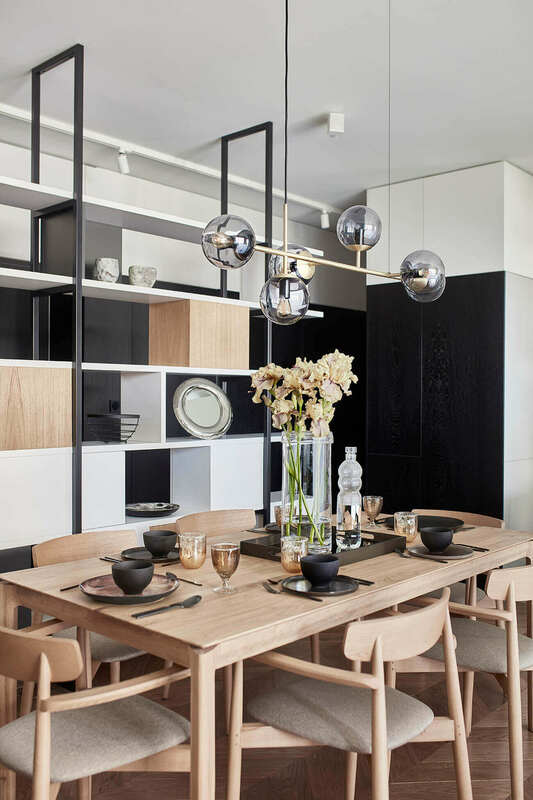 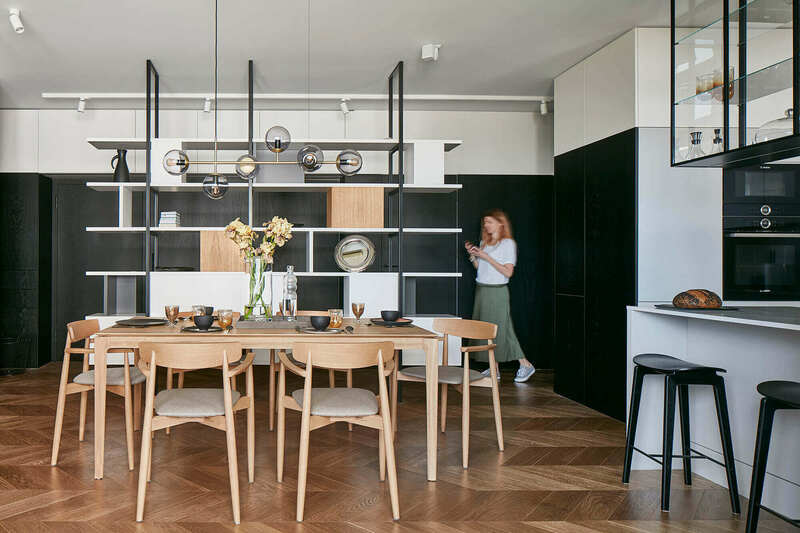 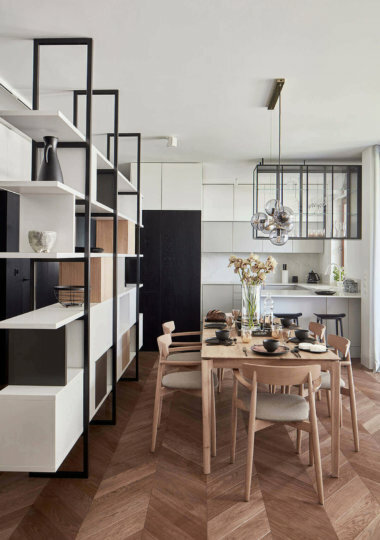 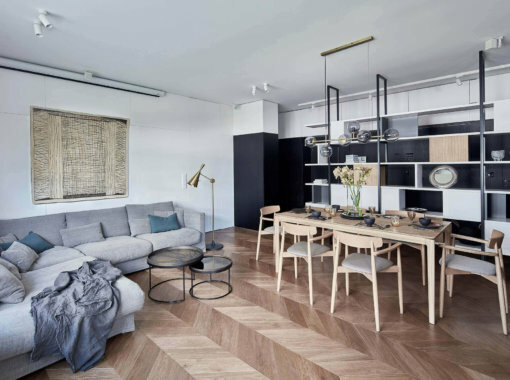 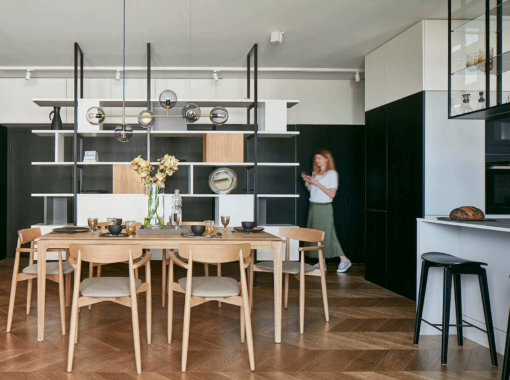 The apartment features custom-made furniture by ID STUDIO.